ERP (Enterprise Resource Planning) is principally an integration of business management practices and modern technology. Information Technology (IT) integrates with a corporate house’s core business processes to streamline and accomplish specific business objectives. Consequently, ERP is an amalgamation of three most important components: Business Management Practices, Information Technology, and Specific Business Objectives. In simpler words, an ERP is a massive software architecture that supports the streaming and distribution of geographically scattered enterprise information across all the functional units of a business house. It provides the business management executives with a comprehensive overview of the complete business execution, which influences their decisions in a productive way. At the core of ERP is a well managed, centralized data repository that acquires information from and supplies information to the fragmented applications operating on a universal computing platform. Information in large business organizations is accumulated on various servers across many functional units that geographical boundaries sometimes separate. Such information islands can possibly service individual organizational units but fail to enhance enterprise performance, speed, and competence. 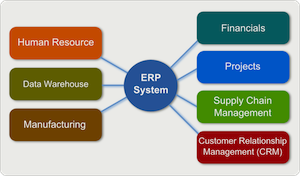 The term ERP originally referred to the way a large organization planned to use its resources. Formerly, ERP systems were used in larger and more industrial company types. However, ERP use has changed radically over a period of few years. Today the term can be applied to any type of company operating in any kind of field at any magnitude. Today’s ERP software architecture can possibly envelop a broad range of enterprise functions and integrate them into a single unified database repository. For instance, functions such as Human Resources, Supply Chain Management, Customer Relationship Management, Finance, Manufacturing Warehouse Management, and Logistics were all previously stand alone software applications, generally housed with their own applications, database, and network. Today, they can all work under a single umbrella – the ERP architecture. In order for a software system to be considered ERP, it must provide a business with many functionalities that have features like flexibility, modularity & openness, broadness, the finest business processes, and global focus. Integration is an exceptionally significant ingredient to ERP systems. The integration between business processes helps develop communication and information distribution, leading to remarkable increase in productivity, speed, and performance. An ERP system’s key objective is to integrate information and processes from all functional divisions of an organization and merge it for effortless access and structured work flow. The integration is typically accomplished by constructing a single database repository that communicates with multiple software applications, providing different divisions of an organization with various business statistics and information. Although the perfect configuration would be a single ERP system for an entire organization, many larger organizations usually deploy a single functional system and slowly interface it with other functional divisions. This type of deployment can really be time consuming and expensive. An ERP system would qualify as the best model for enterprise-wide solution architecture, if it chains all the below organizational processes together with a central database repository and a fused computing platform. Engineering, resource & capacity planning, material planning, work flow management, shop floor management, quality control, bills of material, manufacturing process, etc. Generally, this is an information storehouse that organizations, customers, suppliers, and employees can access for their learning and orientation. Prior to the ERP model’s evolution, each department in an enterprise had their own isolated software application that did not interface with any other system. Such isolated frameworks could not synchronize the inter-department processes and hence hampered the organization’s productivity, speed, and performance. These led to issues such as incompatible exchange standards, lack of synchronization, incomplete understanding of the enterprise functioning, unproductive decisions, etc. For example, The financials could not coordinate with the procurement team to plan out purchases as per the availability of money. Hence, deploying a comprehensive ERP system across an organization leads to performance increase, work flow synchronization, standardized information exchange formats, complete enterprise functioning overview, global decision optimization, speed enhancement, etc. Implementing an ERP system in an organization is an extremely complex process. It takes quite a bit of systematic planning, expert consultation, and a well structured approach. Due to its extensive scope it may even take years to implement in a large organization. Implementing an ERP system eventually necessitates significant changes on staff and work processes. While it may seem practical for an in-house IT administration to head the project, it is commonly advised that special ERP implementation experts be consulted, since they are specially trained in deploying these kinds of systems. 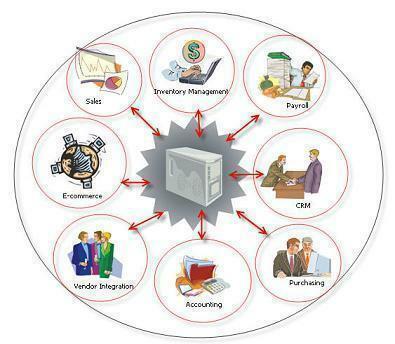 Organizations generally use ERP vendors or consulting companies to implement their customized ERP system. There are three types of professional services that are provided when implementing an ERP system, they are Consulting, Customization, and Support. Consulting Services – are responsible for the initial stages of ERP implementation where they help an organization to being their new system to life with product training, workflow, improvement in ERP’s use in the specific organization, etc. Customization Services – extend the new ERP system’s use or change its use by creating customized interfaces and/or underlying application code. While ERP systems are made for many core routines, there are still some needs to be built or customized for a particular organization. Support Services – include both support and maintenance of ERP systems, for instance, troubleshooting and assistance with ERP issues. The ERP implementation process goes through five major stages: Structured Planning, Process Assessment, Data Compilation & Cleanup, Education & Testing, and Usage & Evaluation. Structured Planning: is the foremost and the most crucial stage where any capable project team is selected, present business processes are studied, information flow within and outside the organization is scrutinized, vital objectives are set, and a comprehensive implementation plan is formulated. Process Assessment: is the next important stage where the prospective software capabilities are examined, manual business processes are recognized, and standard working procedures are constructed. Data Compilation & Cleanup: helps to identify data to be converted and the new information that would be needed. The compiled data is then analyzed for accuracy and completeness, throwing away the worthless/unwanted information. Education & Testing: aids in proofing the system and educating the users with ERP mechanisms. The project team tests and verifies the complete database via multiple testing methods and processes. A broad in-house training is held where all the concerned users are oriented with the functioning of the new ERP system. Usage & Evaluation: is the final and an ongoing stage for the ERP. The lately implemented ERP is deployed live within the organization and the project team checks it regularly for any flaw or error detection. 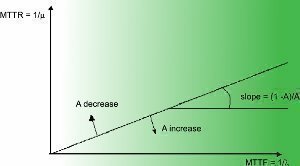 How do i reference this? Jayy, do you wish to link to this article from another article? Of course, you can Jayy! …where Will Spencer seems to be the author, 2013 seems to be the year since the graphic at the top was cited this year (although you can use date retrieved if you can’t find a date for the article), [Name of heading/sub-heading] is the section you’re citing from, and (if you’re citing a direct quote or optional if you’re paraphrasing/summarizing) [para. X] is whatever paragraph you’re citing your content from, counting down the page from the heading/sub-heading you mentioned. Someone double check me please. Amazing article and something for which I was looking for. i have been search on the net but cant find what i am looking for, i need functional and non-functional requirements of an ERP system. it is good when we coorperate to contribute the ideas on the concept of ERP this helps many people to find material resouces easily onlie this help us to expand knowledge and also helps the coming generation…..good..! Amazing description, I am a ERP consultant and i am amazed to see that how easily an ERP can be explained. I need explanation with photos please. Get much detail about ERP from here, Thanks a lot. Just simple ! short and sweet. I ve gone through many articles on ERP.But this one stands tall for its clarity and the insight it provides.Thanks a lot and good job. There’s a list on Wikipedia. Popular ones might be Compiere, SAP, Netsuite etc. So, are there ERP Applications built, which can be used for some generic functions or operation within an organisation? “Organization” is the American spelling; “Organisation” is the British spelling. It’s about time someone explained what an ERP was thoroughly without all the technobabble found elswhere. Thank you for your insight. Thank goodness! I’ve been searching around for a straightforward, plain American English description of ERP to both clarify my own definition, and for my customers and prospects – thank you for providing it. To see how it shouldn’t be explained using terrible English and plenty of gobbledy-gook, look at the Wikepedia version. 229 queries in 0.501 seconds.